Autodesk BIM 360 connects people, data and workflows throughout a project's lifecycle, supporting informed decision-making and improving the process of construction. The next generation Autodesk BIM 360 platform removes data siloes, facilitates interoperability between construction stages and supports connectivity with third party applications, putting the right information in the right hands at the right time. Be the first to know about the latest changes affecting BIM 360 Next Generation. Sign up to our BIM 360 newsletter to receive regular updates about this new platform and understand how they will affect you. Built on Autodesk Forge, the new BIM 360 construction platform is an all-in-one solution designed around the workflows that construction projects use to build on time and on budget. The Forge platform is the foundation for building an AEC software ecosystem where the focus is on access to data, irrespective of the applications being used. Too many emails, files and messages in too many locations make it difficult for design and construction teams to keep track of changes. Watch our BIM 360 Docs webinar to explore Autodesk's platform for managing and controlling documents. BIM 360 Design allows geographically dispersed project teams to collaborate on shared Revit models for design and constructability, enabling them to reduce errors and omissions. See it in action by watching our webinar. 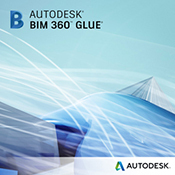 Learn how to accelerate clash detection and model aggregation with BIM 360 Glue. During their AU London seminar, Steve Rudge - Head of Construction at Excitech and Caroline Shaw - the BIM Coordinator for Balfour Beatty on the MECD Project in Manchester explained how BIM 360 is being utilised at the heart of the largest higher education build project in the UK. Access a recording of their presentation below. Contact us to learn how you can make better decisions and eliminate delays using the new BIM 360 platform. BIM 360 Docs web service ensures the entire project team is building from the correct version of documents, plans and models. Save time, reduce risk and mitigate errors in construction projects. BIM 360 Plan is a cloud and mobile solution that provides a visual, collaborative way to manage short-interval project schedules. With support for the Last Planner System, BIM 360 Plan helps you take advantage of your team's expertise so you can deliver faster with fewer costly surprises.